Can you be in love with an item of clothing? 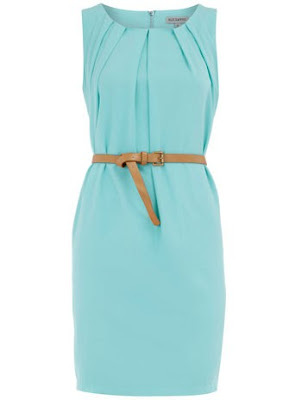 If so, then I am in love with this dress from Dorothy Perkins. I love the wonderful shape and that colour! Baby blue! The little belt is a totally cute finish. This would look great with the awesome bag in my post on a coral and navy summer outfit. What do you think ladies? yeah, perfect with the coral bag! go for it! Ooo, I love that pastel blue!